At the eastern end of the Picos de Europa, in the province of Cantabria, lies the beautiful Valle de Liébana. Accessed by way of the vertiginous gorge of La Hermida and protected on all sides by towering, rocky mountains which ensure the valley a benign micro-climate, this is the perfect base from which to explore the Picos. 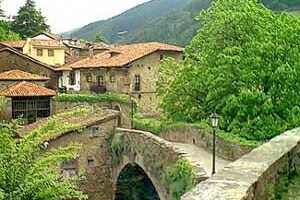 At the center of the valley is the medieval town of Potes which, though busy in the summer, is well preserved and retains its authentic character. 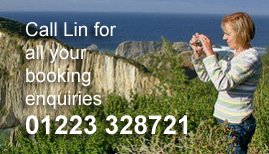 Here, among the excellent cheeses, pastries and liquers, you’ll find all kinds of mountain activities on offer. Other attractions include the monastery of Santo Toribio, a major pilgrimage destination, said to house a piece of the True Cross and no visit would be complete without a ride up to the giddying heights in the cable car at Fuente De .